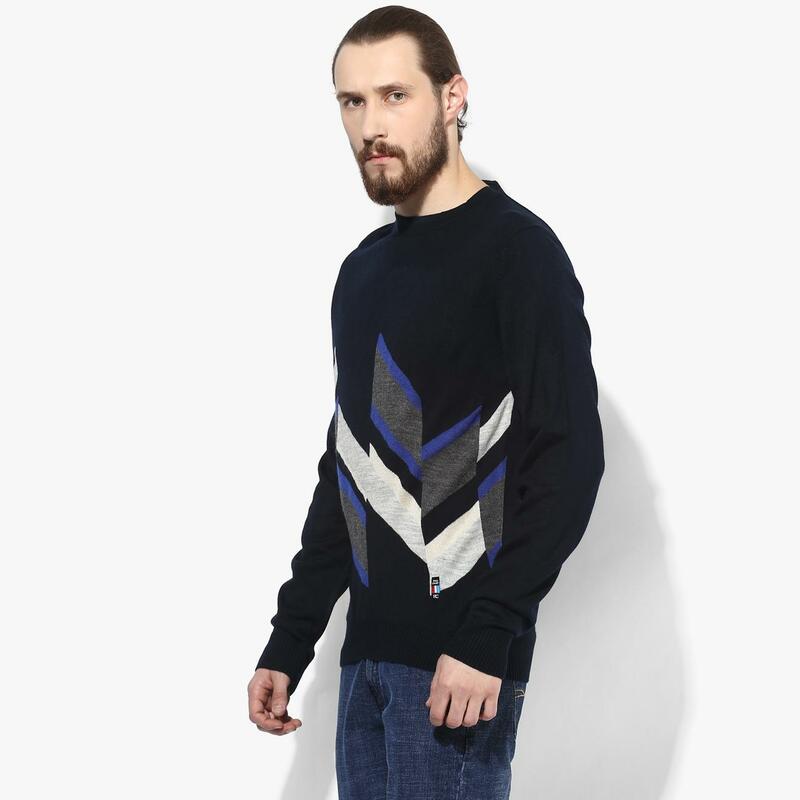 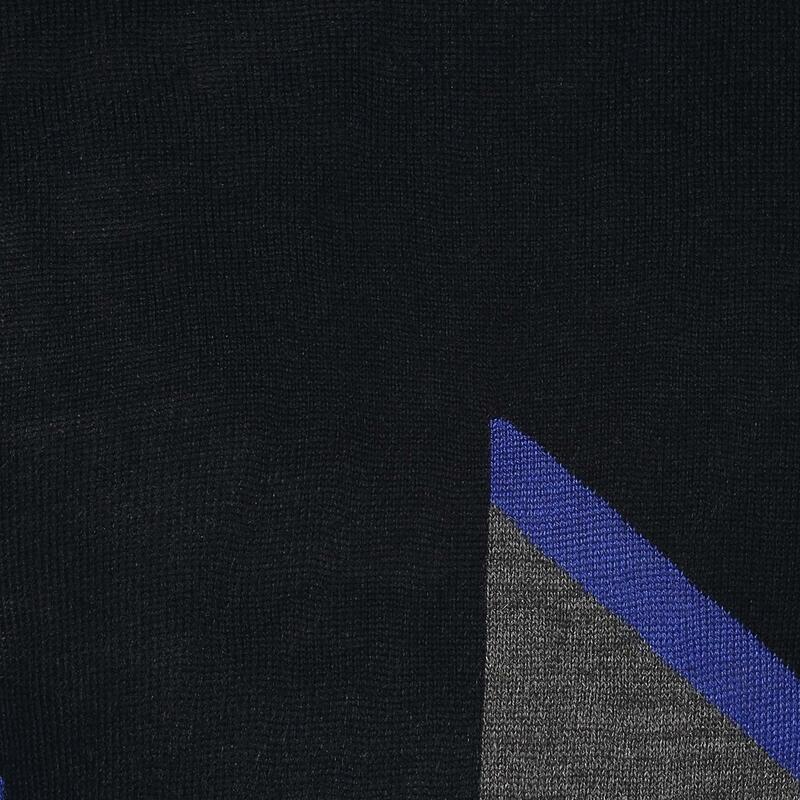 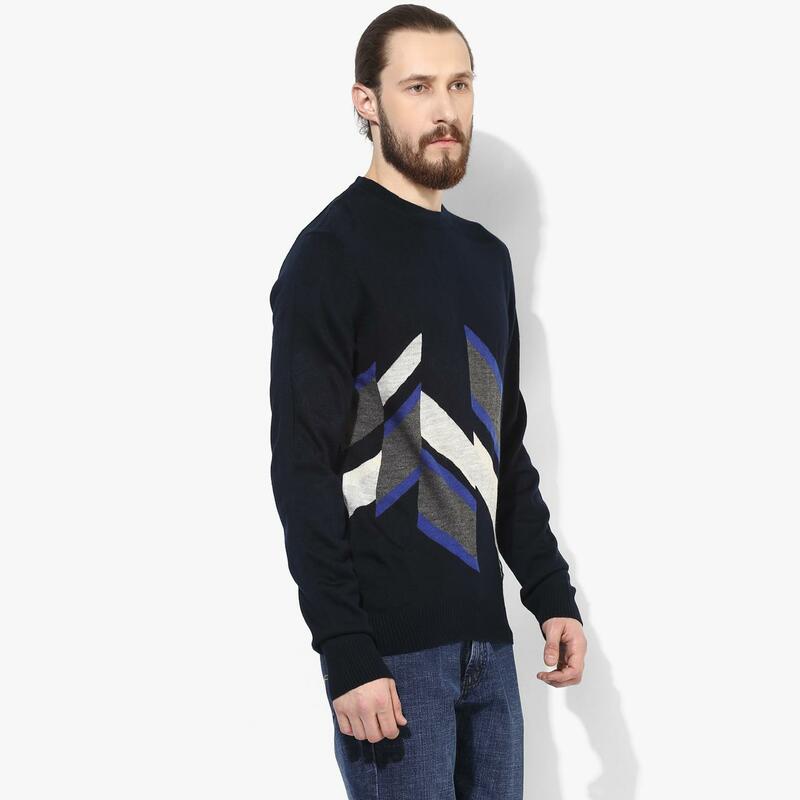 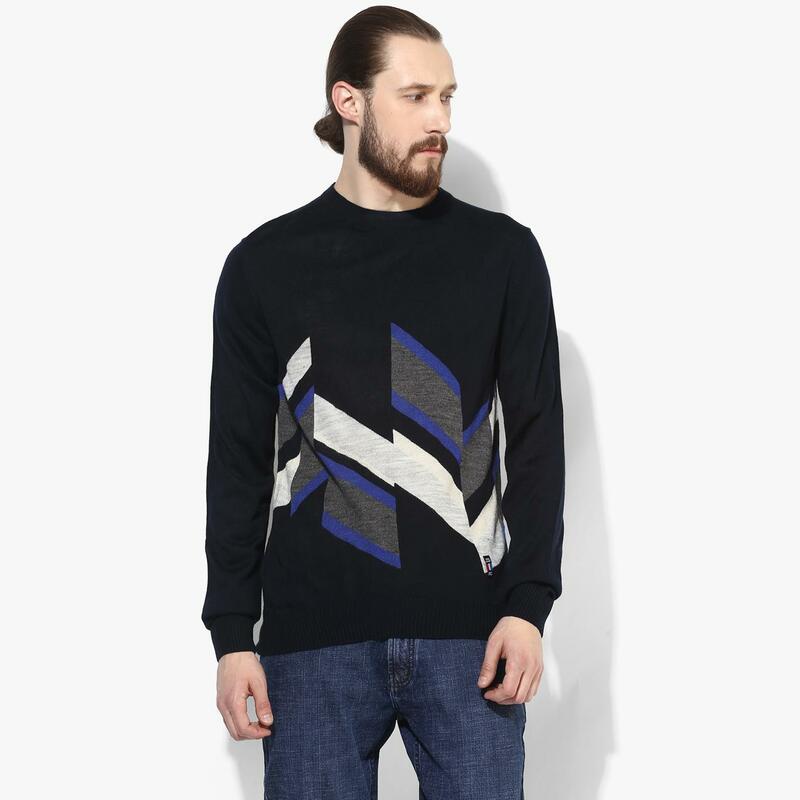 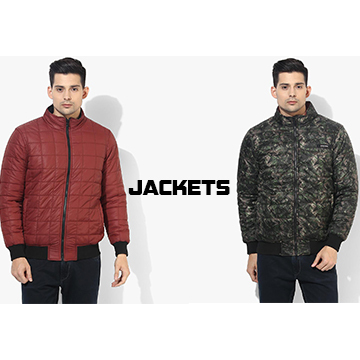 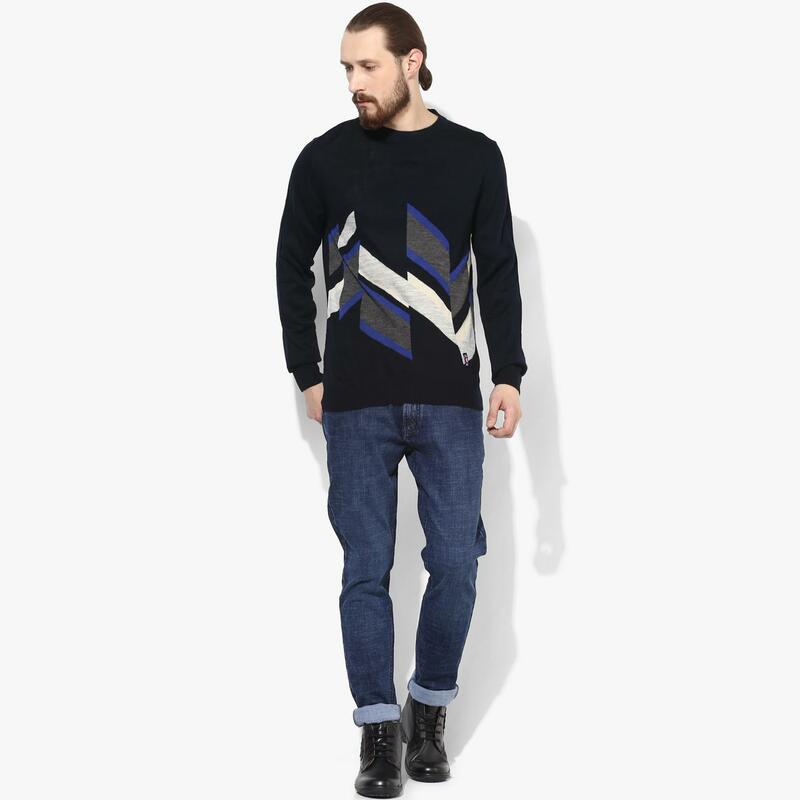 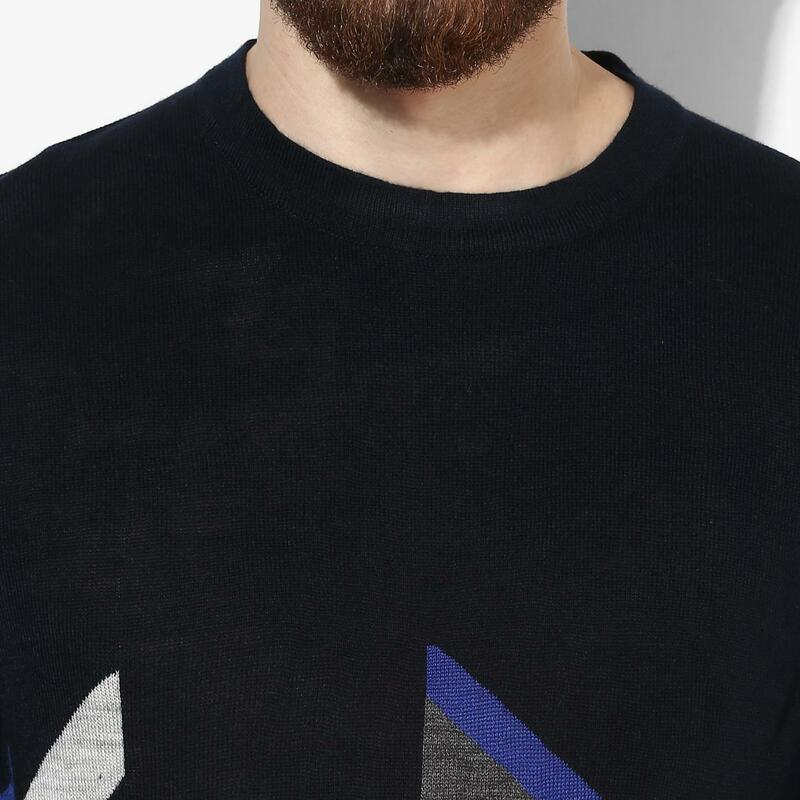 Redefine the monotony of winter fashion with this intarsia designed navy blue men's sweater from the house of Red Chief. 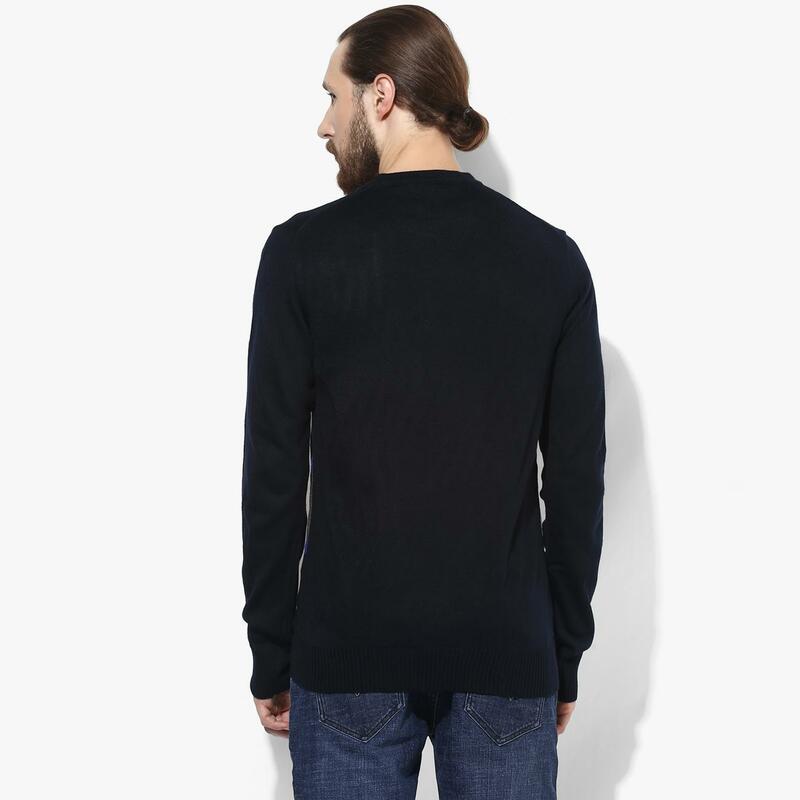 Bathe your skin in the blissful softness of this sweater. 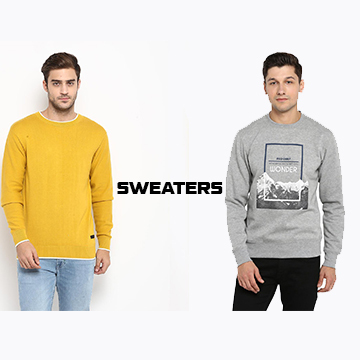 To have the perfect casual winter look, layer this sweater on a white shirt with off white jeans and lace ups to complete the look.